Shankly, Ferguson, Herrera, Cruyff, Bielsa. Modern day writings about the history of football often glorify the innovators of the game and rightly so, but they often neglect those who changed football before the Second World War. One of these revolutionaries was Herbert Chapman. In 1925, Chapman was in fact the most sought after manager in British Football - winning back-to-back league titles with Yorkshire club, Huddersfield Town. At the same time, Arsenal had been a side battling it out to avoid relegation and dropping further down the football pyramid. Despite this, larger attendances and a greater salary attracted Chapman to take up the role of first-team coach at Highbury. In 1925, football was undergoing major rule changes, no more so than the alterations of the offside rule. 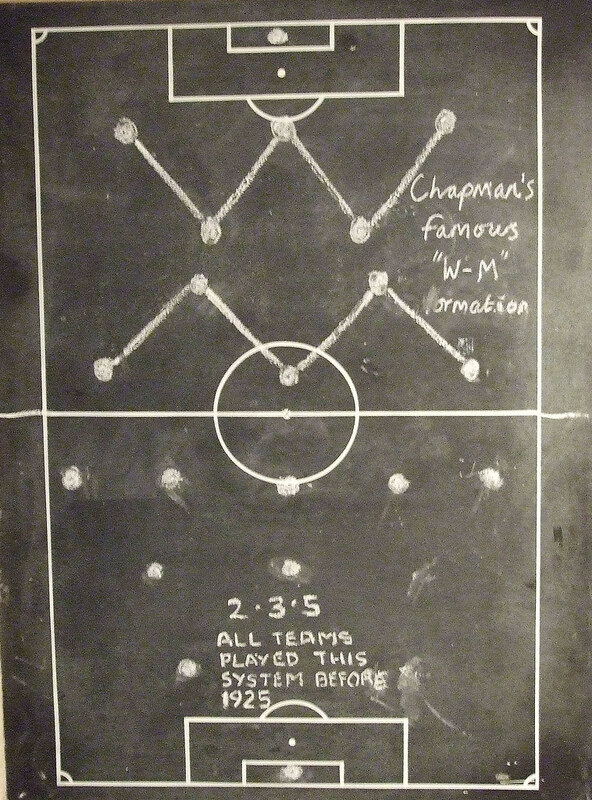 Now with only two opposition players allowed between the attacker and the goal, Chapman altered the standard 2-3-5 formation to a 3-4-3. Although not the only side to feature the change, it was Chapman's Arsenal which truly refined it. It suited the manager's counter-attacking style and would thus would bring rewards. The style of play also needed the right players. The Arsenal team of the last 1920s and 1930s was made up of excellent athletes - and ones capable of intense levels of fitness. The formation also changed the role of defenders. The previous pyramid style was phased out and the dropping-back of a central midfielder into defence meant tactics would be changed to 'play offside' and create a solid foundation for any side. No longer was football all about attacking - the defences could reign supreme. The proof, as they say, was in the pudding - Arsenal would go on to become the team in England - winning three First Divisions in a row (1933-35) as well as other titles and cups - Chapman truly changed football forever. The fact that TFHBer Gareth Thomas is a Cardiff City season-ticket holder has nothing to do with this being one of our 'honourable mentions'! What earns 1927 its mention is the fact that it remains the only year that a non-English side won the FA Cup. Cardiff had previously seen success in England's premier cup competition, reaching the Semi-Finals twice as well as losing in the Final at Wembley in 1925. 1927 though, is the year etched in the history books of Welsh football. Cardiff, who finished the 1926/27 Division 1 campaign in 14th place, would face 11th placed Arsenal on 23rd April. The Bluebird's route to the final had been fairly smooth, putting away Aston Villa, Darlington and reigning champions Bolton Wanderers in the first few rounds. It would be in the Quarter-Finals that they would face their toughest test so far, Division 2's Chelsea holding them to a 0-0 draw at Stamford Bridge. Cardiff took the Londoners back to Ninian Park and won the replay 3-2, goals from Sam Irving, Hughie Ferguson and club legend Len Davies setting up a Semi-Final with second tier Reading. A comfortable 3-0 away victory saw the Welshmen heading back to Wembley for another crack at the cup! Arsenal meanwhile had initially struggled in the early rounds, scoring a second-half strike to win 3-2 away at Sheffield United before needing a replay to beat Port Vale at Highbury following a 2-2 away draw in the Fourth Round. Following that Liverpool and Wolves were dispatched and a Semi-Final loomed with Southampton at Stamford Bridge. On a wet and muddy day, the Gunners had Joe Hulme and Charlie Buchan to thank in their 2-1 victory to send them to the Final. The final itself was played infront of over 90,000 spectators, two Division 1 clubs going at it in search of glory and their first ever FA Cup win. Cardiff lined up with three Welshmen in their 11 whilst Arsenal themselves had two including the goalkeeper, Dan Lewis. Lewis it turned out, would be the man who stole the headlines. After a tightly contested, goalless first half, Arsenal took the early ascendency in the second 45 but Cardiff held firm. The only goal of the game came after 74 minutes, Hughie Ferguson shot tamely from just outside the area, Lewis attempted to collect the ball but it snuck undernearth his body. As the keeper attempted to reclaim the ball he knocked it backwards into the net, Cardiff had their lead and would hang on to secure a momentous victory. 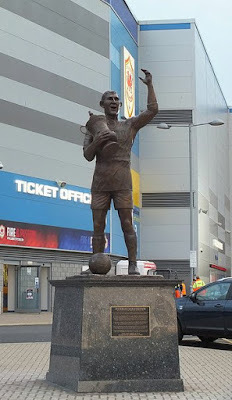 As Cardiff born Fred Keenor lifted the FA Cup that day, it still remains the only occasion a Welsh side have won the trophy. The Mitropa Cup - we can tell that a lot of those reading this will be puzzled as to why a relatively unknown tournament is included in the most important moment. 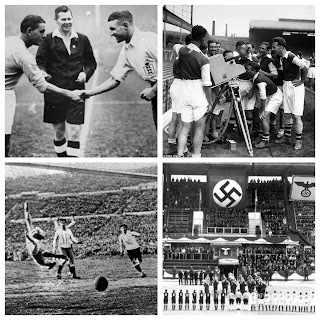 In interwar Europe however, this tournament was huge, achieving a lasting legacy on modern European football. The tournament's creator Hugo Meisl is also an important character - a pioneer who shouldn't be forgotten. Seen by many as a predecessor of the European Cup - the Mitropa has its own illustrious history. Following the collapse of Austria-Hungary at the end of the First World War - the region in which it covered was split into new nations - Austria, Hungary, Czechoslovakia, Yugoslavia, Romania and parts of Italy. The idea for the tournament was developed by the head of Austrian football, Hugo Meisl. The reasons behind it were clear - an international club competition would help to cement central Europe as a football heartland and improve the quality of their newly introduced professional leagues. Meisl is an intriguing character - someone who can truly be known as a 'footballing pioneer'. Alongside the introduction of the Mitropa Cup - his Austrian national team grew into one of the world's best in the 1930s. Dubbed the 'Wunderteam', they swept away all that was put in front of them. Meisl would lead them to the World Cup semi-finals in 1934 and Olympic final two years later. His death in 1937 would rock the Austrian game - it would be years before they recovered. By 1936, the Mitropa Cup had invited teams from Italy, Switzerland and Romania - truly growing into an incredible tournament. The Anchluss of Austria into Nazi Germany and subsequent Second World War took its toll on the cup and stopped its gathering momentum. Following the end of the war, the tournament resurfaced in 1951 and would be played until the early 1990s. However, due to the growth of rival tournament, The European Cup, the Mitropa Cup would never reach its full potential. On the other hand, what it showed was that football could indeed be and international game between clubs as well as nations - it opened doors at a time where nationalism and radical ideologies were doing anything but. Perhaps our most questioned omission - the 1950 World Cup Final has it all. We have already written about the lasting legacy of England's humiliation to the US, but was that even the most important story of the finals in Brazil? In 2019, we know Brazil to be a nation of beautiful geography and glorious football and in 1950, it was no different. With the World Cup being played on home soil, Brazilian supporters expected the Jules Rimet trophy to be lifted by their captain, Augusto, and for the Maracana to be a sea of celebration. If football has taught us anything, it is to expect the unexpected. The idea of a final itself is steeped in peculiarity. In 1950, the knockout system was altered to for the final four teams to play in a group. Alongside the hosts, were Spain, Sweden and South American rivals, Uruguay. Uruguay had won the first World Cup in 1930, but where now considered no match for Brazil. In the UK we are made ill by the tabloids and their pre-tournament headlines about how England are 'Going to Win it' or 'It's Coming Home'. In 1950, it was no different for the Brazilians. In fact, so much was the pre-match aniticipation that many politicians and members had already declared Brazil the 'World Champions'. Medals were made and victory hymns were written. What could go wrong? In front of 199,854 spectators in Rio de Janiero (A record football attendance), Uruguay, spurred on the by the negative press they were receiving, won the game 2-1. With it being the final group match, Alcides Ghiggia's winner 11 minutes from time saw them leapfrog Brazil and into first place. Uruguay chose to adopt an attacking style of play - surprising the Brazilians who had only faced defensive sides up until the final. Brazil was in despair - how could this have happened? Where would they go next? Around the Maracana was a "disturbing and traumatic absolute silence". At TFHB, we have written extensively on the 1950s and its incredible legacy on football. In fact, it would be fairly easy for us to find 50 moments entirely in this decade alone. One of these is from the 1956 FA Cup Final - Manchester City v Birmingham. The scoreline itself (3-1) is the not the main story here - indeed, this moment centres around one man - Bert Trautmann. Only eleven years after the dramatic climax to the Second World War - football, and the nation was returning to prosperity. 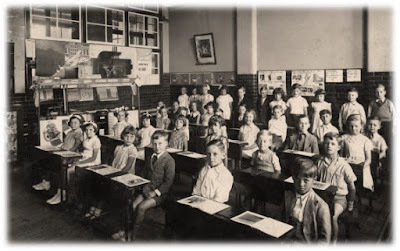 Social reforms and changes in the game's infrastructure meant eyes were beginning to open to a new world. However, for Manchester City goalkeeper Bert Trautmann, post-war reconstruction provided something far more personal. A German paratrooper on both the Eastern and Western Fronts, Trautmann would later be captured by the British and sent to a POW camp in Lancashire. Upon his release in 1948 - Trautmann refused repatriation and instead stayed in England - working on a farm and playing in goals for local side St Helens. His impressive performances earned him a move to First Division Manchester City - a decision met with anger and animosity from some. The war, had still left a gaping wound in society and hostility towards Germans was rife. Despite protests from 20,000 people on his signing, his performances would earn him the respect of supporters around the country, culminating in his legendary performance in the 1956 FA Cup Final. Trautmann didn't just merely win the final, he won it with a broken neck. In the 73rd-minute a collision with Birmingham's Peter Murphy, left the goalkeeper in need of medical attention. 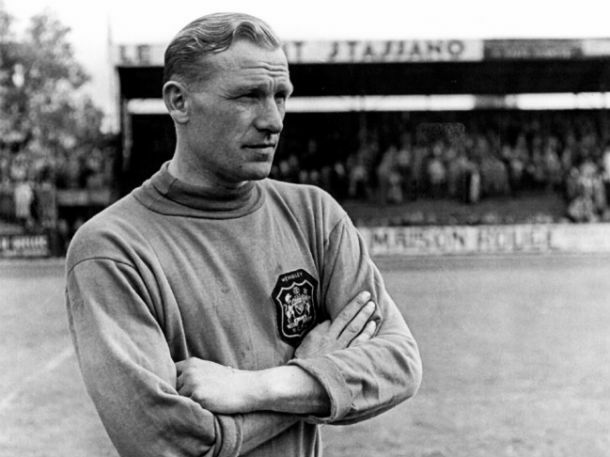 Despite, the trainer's best intentions, Trautmann insisted on playing-on and made two further saves as the Citizens won the Cup for the third time. The Manchester City number one's bravery was noted by all four sides of Wembley and earned him the respect of the nation. Furthermore, it promoted a greater tolerance of Germans and those from 'axis' nations all across the UK. Over our six years as The Football History Boys we've held our fair share of polls. The first, long-running series found Zinedine Zidane as the public's surprise winner in 2014 before Lionel Messi was crowned the 'Best Ever' in 2017 re-run. However, the constant in those two polls was Pelé (3rd & 2nd), a man considered by many as the greatest player to ever lace up a pair of football boots. The Brazilian forward scored over 1200 career club goals and a further 77 for his country, his name is known across the world to this day. 1958 was a significant year, not just because Wales were making their first and only World Cup appearance but also because of the appearance of Edson Arantes do Nascimento - Pelé. Pelé who spent the majority of his glittering career in Brazil with Santos, only really found fame in European households with his stunning international performances. In the 1958 World Cup in Sweden he arrived as an unknown 17-year-old to most who had only made his debut for his country a year previous (scoring on his debut of course!). Injured for the early part of the tournament, Pelé returned after his side had beaten Austria and drawn 0-0 with England. In the third and final group game Pelé became the youngest ever player to feature at a World Cup (record now broken) in their tie with USSR. Pelé picked up an assist in the 2-0 victory to help send his country into a Quarter-Final match-up with Wales. The magician scored the only goal of the game as Wales were beaten 1-0, Pelé still breaking Welsh hearts to this day! 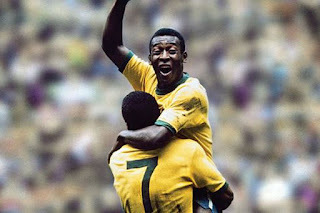 It would be in the Semi-Finals that Pelé truly announced himself to the global football scene. The Brazilians faced a tough prospect in France but the stunning football of the South American secured Pelé another record - the youngest player to score a World Cup hattrick. The 5-2 victory set up a Final with hosts Sweden, Brazil hammered the Europeans - again 5-2! Pelé scored his fifth and sixth goals of the tournament, taking him second in the goalscorer charts (despite missing two matches). Pelé was voted Young Player of the Tournament but more significantly had shown what he could do to the world. Pelé would go on to lift the World Cup three times with Brazil. The following tournament in 1962 was swept by the Brazilians and 1970's performance is widely considered as one of the great World Cup sides of all-time. There is no doubt about it, you cannot talk about footballing greats without talking about Pelé, 1958 was where it all began! Three points for a win - seems pretty standard, no? Not at all! In fact, the reward of 3 points is a relatively new invention to the modern game. What is more is that it was not universally adopted at first - a relatively slow-burner. Prior to its introduction the 1981-2 Football League season - two points had been awarded for a win and one for a draw. For many, this led to negative play as a win only provided little reward. Frequent football innovator - Jimmy Hill had put forward the idea of three points as a way to offer more attacking football right until the last minute. Its impact was not instantaneous with the numbers of goals per game dropping from 2.66 to 2.54. 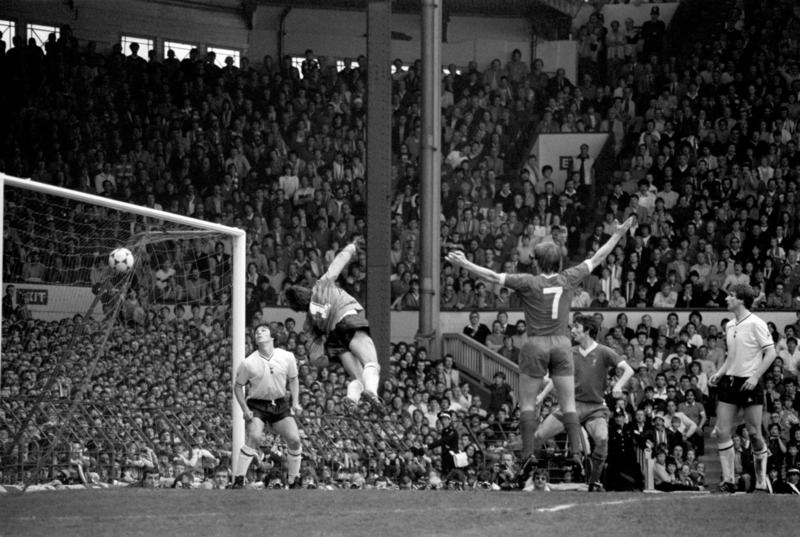 By 1983 however, the number of goals had significantly improved as Liverpool once more won the English First Division. Football tactics would change forever too as clubs began to adopt their own unique styles as opposed to tried and tested formations. International football was suffering the same problems of negative football and in 1994 the World Cup would also adopt a 3 goals for a win policy. Italia 90 is often remembered fondly by football fans. Gazza's tears, Squillaci's eyeballs and that performance by Pavarotti. In actual fact, the football played was relatively dull. 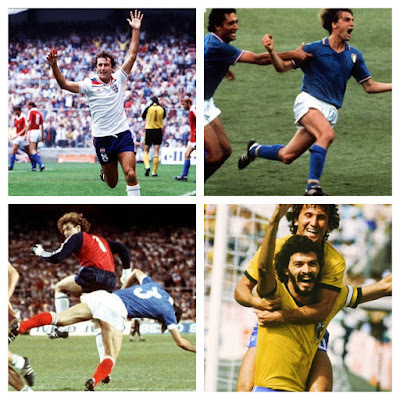 Only 115 goals we scored in the tournament's 52 games, compared with 141 four years later. By 1996, leagues and comptetitions all over the world had adopted the new system - long live attacking football! It is clear to see that Arsenal has a strong following on twitter and one which is no stranger to making their feelings known! Another of our most questioned omissions is Arsene Wenger's invincibles. The Invincibles, a team that perfectly defined the philosophy and ideology that Arsene Wenger had sought to bring to the English game since his arrival at Arsenal in 1997. The 2003/04 squad were suitably nicknamed the Invincibles subsequent to the campaign as a result of the unheralded achievement in the modern era of completing the entire season without losing a single match. The Invincibles are quite rightly viewed as the strongest squad assembled by Arsené Wenger during his time at Arsenal. The team possessed a combination of strength, guile and outstanding team chemistry that helped shape an unstoppable force that would tear its way through the English game. It is worth looking at the individuals that created the squad and their impact on the formation of what was to become a truly formidable team. There will, rightfully, always be a debate as to which was the finest team in the Premier League era. Candidates include the 1998 Arsenal double winning side, the Manchester United treble winning outfit of the following season, Jose Mourinho’s robust and efficient Chelsea team during his first spell at the club and also the Manchester United team that won 3 consecutive league tittles and a Champions League between 2007 and 2009. The achievement of the Invincibles is one which we can't expect to be matched again during in our time. Of course the age old cliche of ‘you never know in football’ always applies, but the Invincibles were able to form something truly unique, through a blend of spirit, skill and sheer footballing ability. The Invincibles are a team that we, at TFHB, were able to witness and one which shall surely take its rightful place in the history of English football. Women's football has a history to rivalry anything else in modern society. It too encompasses the ideas of class and identity and highlight the struggle of millions against what can be seen as a repressive, male-dominated hierarchy. Indeed, we were going to add another moment from women's football history into our 50 Most Important moments, but for us, it felt like we were just shoeing one in to keep up appearances - the fact of the matter is that only providing two moments would hardly get across the scale of the game in an ever-changing world. Our next series is going to look closer at the entire history of women's football - celebrating the pioneers and innovators who have helped to shape the game and challenge age old stereotypes, tearing apart archaic views in the process. Going right back the football's codification, we will see the impact of the first ladies teams in Victorian Britain and see how the game has began to spread around the world, culminating in the rise of the USWNT and the dropping of preventative laws. Finally, it will look at the modern boom in women's football as national leagues, larger clubs and greater attendances change the way we see the women's game. The study will also ask questions and explore whether female football is truly accepted in our society. We hope you will continue to keep tabs on TFHB over the next couple of months as we explore how women are truly shaping modern football. Wales' Cruyff-turning hero (and free agent) Hal Robson-Kanu! The summer of 2016 was the greatest summer of my life. I don't mind saying so, there is absolutely nothing that compares to it. When getting married in December 2017 I dedicated a good chunk of my speech to remembering that summer - for a very important reason - Wales stormed the Euros! I don't think anyone will forget that tournament in a hurry, definitely not the Welsh, English, Icelandic or Portuguese! So firstly then, Wales. The Welsh were appearing in their first full tournament since the 1958 World Cup. Wales were drawn alongside rivals England in their group but were first taked with overcoming Slovakia, Bale and free-agent Hal Robson-Kanu netting in the 2-1 victory. England were next but a 92nd minute winner from Daniel Sturridge seemingly handed England advantage in the battle for the top of the group. Wales needed to win their final game to definitely secure knockout football and a stunning 3-0 performance put Russia to the sword. The summer was already going so well and with England drawing 0-0 to Slovakia, Wales had unexpectedly topped the group to set up a tie with Northern Ireland. A laboured Welsh performance was rewarded with a late own goal from Northern Irish defender Gareth McAuley as the 1-0 win set up a difficult Quarter-Final with 'dark horses' Belgium. England meanwhile faced Iceland who, in their first major tournament had done incredibly well to get to the Round of 16 (with a population of just over 350,000! England were firm favourites and after 4 minutes Wayne Rooney put England ahead. However, in the 6th and 18th minute the English were rocked, Iceland scored twice and held on to win 2-1, Roy Hodgson's men were out and Iceland with their 'thunderclap' progressed - what a moment! The Quarters saw Iceland's run halted by France but Wales pulled off one of the greatest victories in the often disappointing history of Welsh football. Radja Nainggolan gave Belgium an early lead but on 31 minutes, Welsh captain Ashley Williams rose highest from a corner to level the game, making it 1-1 at half-time. The second-half is where the game exploded for Wales. With 55 minutes on the clock Hal Robson-Kanu (released pre-tournament from Championship club Reading) did the unthinkable - he Cruyff-turned the Belgium defence! A long ball was controlled by Aaron Ramsey and squared in the box to Robson-Kanu, HRK with his back to goal, swiveled and beat three men, scoring the goal of the tournament in the process! Wales were not done there, Sam Vokes finished the tie with 4 minutes to go, his stunning header sent Wales into the Semi-Finals of the Euros - jaw-dropping! Sadly, Wales would be without the suspended Ramsey and Ben Davies in the next round versus Portugal. Cristiano Ronaldo and Nani scored a goal each as Portugal saw off everyone's new favourite team Wales to reach the Euro 2016 final. Portugal themselves had been on the verge on elimination in the Group Stages, drawing all three matches and relying one of the 'best third placed' spots to survive. The Portuguese would face hosts France, many fancied the French who had defeated Germany 2-0 in the Semis. A tight-affair (that saw Ronaldo lost to injury early on) went to Extra-Time, a unlikely hero stepped up for Portugal - the unfancied Eder, a late substitute. Eder scored the winner in the 109th minute and Portugal were champions, what a competition this was - Youtube it! By Ben Jones (@Benny_J) and Gareth Thomas (@GJ_Thomas) - Make sure you follow The Football History Boys on Twitter: @TFHBs.